Another small-bore sporting machine from the same seller that brought us the Moto Morini Corsarino, same lack of real detail, same nice photos. These lightweight, economical bikes were designed to fill a similar niche as the competing machines from Moto Guzzi, Ducati, and Laverda: the very real need for inexpensive, reliable transportation for an economy rebounding from the Second World War. 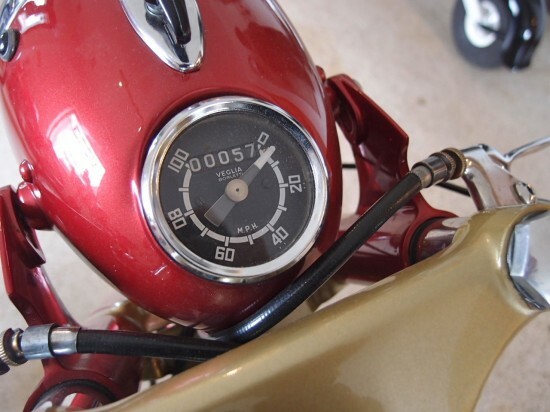 They were designed to bring a bit more style and athleticism to the table than a scooter, but fulfill primarily the same purpose. 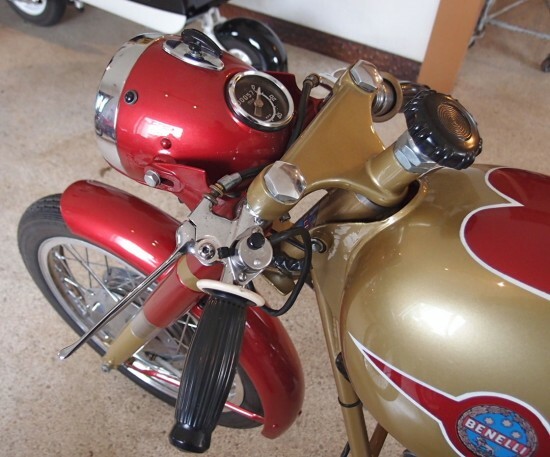 We do not have any history on this beautifully restored Benelli, except that it won “Best of Show” at the 2013 Dallas Mods & Rockers Motorcycle Show. 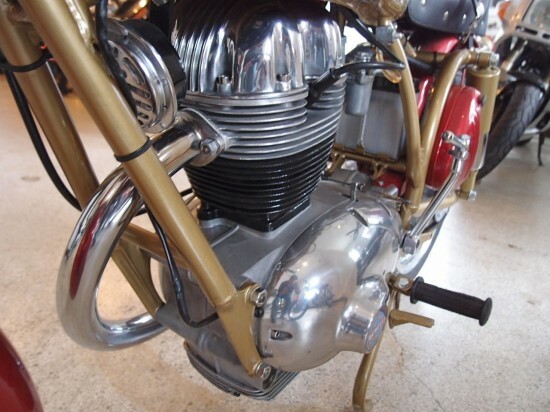 We are certain that the Benelli cognoscenti could shed more light on the history of this bike than we can. The frame number is H8210 and the engine number is HS14392. There are detailed pictures of both the frame and engine numbers in the gallery of pictures. This Benelli runs perfectly and needs nothing. It is certainly MotoGiro capable. Please look at the detailed pictures carefully as they really tell the story. This is Jason Small. I’m the one who built this bike. 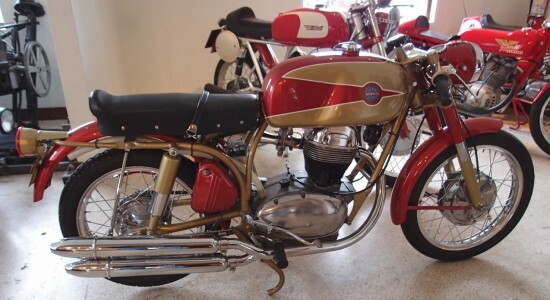 This is a 1967 riverside 250 that I built to look like the 175 Benelli. I replaced nearly everything with new nos parts minus the seat and mufflers which are Ducati Elite parts. I replaced the generator which came with new points and condenser, power regulator, the headlight was a brand new nos headlight with new electrics in it, fork seals, tires, stainless fasteners on 90% of the build, nos speedo, all new cables, chain, new shocks ect. Anything that I needed to replace was replaced with new parts and not used. Good luck with the sale. The owner is a good man and is solely responsible for my passion of small Italian motorcycles. If you have any questions on the bike please feel free to ask. So what we have here is really a bit of a hot-rod, with mix and match parts to create a bike that fits the builder’s singular vision. This is a seriously classy little machine with just 24 hours left on it. Bidding is just north of $2,000 right now, with the reserve unsurprisingly not met yet. With its mixed bag of parts, this may be a bit of a mongrel, but sometimes mutts make the very best pets! 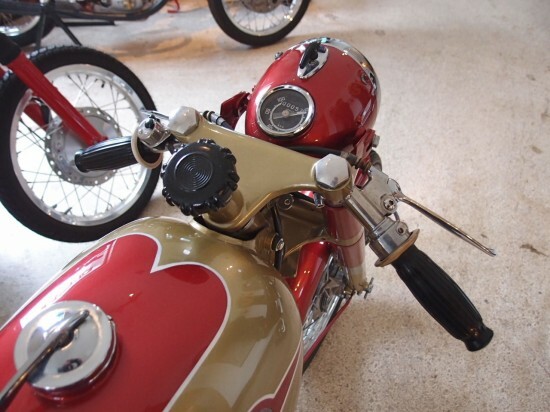 Those mufflers rock! What a charming little ride. Whoa! Four grand for a Riverside.